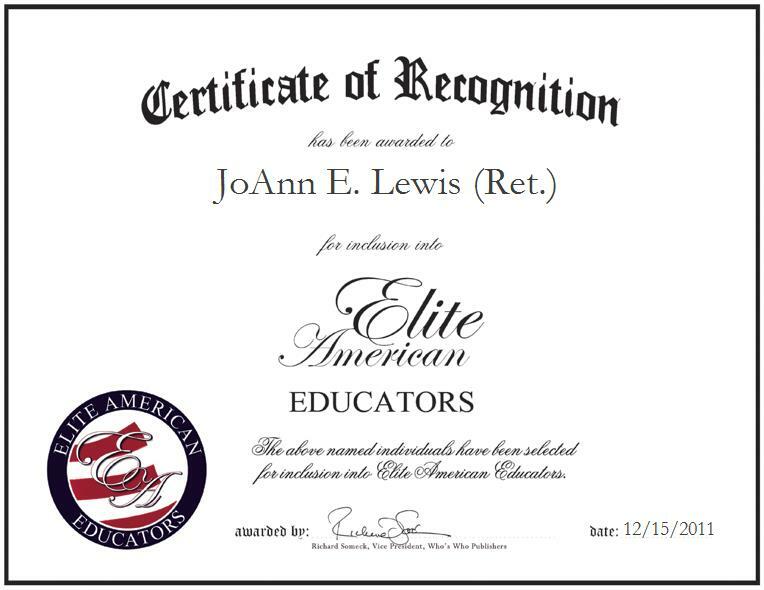 Prior to her retirement as an English teacher, JoAnn E. Lewis demonstrated a profound expertise in English instruction while teaching students the many ways to refine their skill sets. She taught English literature, and conducted sophomore, honors and new senior humanities classes. Ms. Lewis was honored to be a part of the new curriculum for the seniors in the school. She has also helped with the development of the humanities course I and II. She has taught at many levels but she really enjoys teaching the seniors. She and her department chair had just recently completed the curriculum for the Humanities course. She maintains affiliations with the Milford Education Association and the National Education Association. She also supports such worthy causes as the Friends of the Milford Library Foundation. Ever committed to remaining abreast of trends and developments, Ms. Lewis continues to strive for excellence in her every endeavor.